Does Toronto have a condo-flipping problem? Ontario’s Minister of Finance Charles Sousa recently railed against “property scalpers” in the Toronto new housing market, and the recently announced Fair Housing Plan places increased scrutiny on pre-completion assignments. Given the more modest new condominium price growth between 2012 and 2016 in the Greater Toronto Area, the assignment market has seemingly cooled, but reliable data on the number of these transactions is not available. For more than a decade, investors have driven the pre-construction high-rise condominium apartment market in the GTA. In some years, experts have estimated the share of investors to be as high as 70 per cent of all new unit sales. Some view this practice as a negative, but investors act as wholesalers, willing to take the “pre-development risk,” while tying up their 20% down payment for three to four years (or longer). Many end-users prefer to buy in the resale market where the down payment requirement is lower, they can tour the finished unit and they can move in quickly and avoid construction delays. The long-term investors also provide needed rental supply in a market that has been reluctant to build purpose-built rental buildings due to higher upfront costs, construction financing concerns and higher revenue uncertainty. Despite the useful service investors provide, they are often labelled speculators, and accused of being flippers. 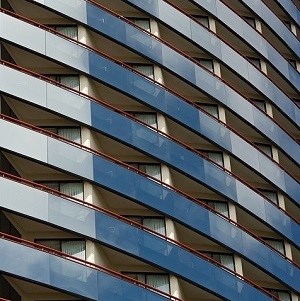 There is no defined definition of a condo flipper, but it is worthwhile to look at the data on how many high-rise suites are sold and listed for sale during the first year after a building has been registered. Using resale data from Urbanation Inc. for the 10 largest projects by unit size completed each year from 2012 to 2015, and the first half of 2016, we can assess whether there is more flipping, or condo wholesaling done during the first year a project has been registered. In 2012, the 10 largest projects included 3,709 units and on average eight per cent of the units sold during the first four full quarters post-registration. When summing the listings for those four quarters, 36 per cent of the units were listed on average (keeping in mind there is significant listings overlap between quarters, and some units would be double or triple counted – for sales it is less likely that a suite would trade twice during the first year). The 10 biggest projects registered in 2013 were larger than the previous year and included 5,063 units, of which eight per cent were sold and 23 per cent were listed. Flipping dropped further among the 2014 registered projects with just six per cent of the 5,088 units trading hands and 18 per cent of the suites listed. In 2015, the figures for sales and listings were seven per cent and 16 per cent, respectively, with 5,670 units. For the 10 largest projects registered during the first few months of 2016, eight per cent of the units have sold, but just 16 per cent of the units were listed (although some of the projects were not registered for a full year). However, the evidence suggests there is less flipping from pre-construction investors today than there was five years ago. So, is condo flipping a problem? How long do investors and pre-construction purchasers typically hold onto their units? When looking at the period in which annual listings are the highest for the largest projects registered between 2012 and 2015, the average project experiences the most listings at seven to nine quarters post-registration (average 2012 – eight, 2013 – seven, 2014 – nine, 2015 – seven). Therefore, it seems like a significant portion of investors are holding for two years after a condo building has been registered. In conclusion, do we have a condo-flipping problem in Toronto? Most condo investors purchase in the first few months after a new condominium launches. They hold during the 12-month pre-construction period, the 30-month construction period (average build duration per CMHC data in Q1 of 2017), the six-month interim occupancy period, and 24 months post-registration. That is a six-year commitment, which is likely outside of any what would be considered a flip.